May the Force be with you… and your lunch! 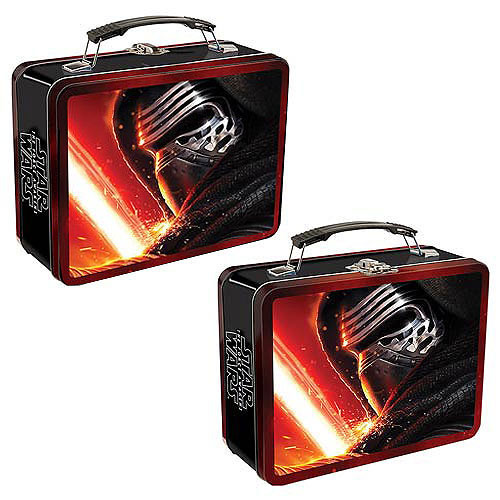 Get yourself one of these awesome Star Wars Episode VII Large Tin Totes featuring the 2015 movie's logo. It measures 9-inches wide x 7 1/2-inches tall x 3 1/2-inches deep. Ages 12 and up.